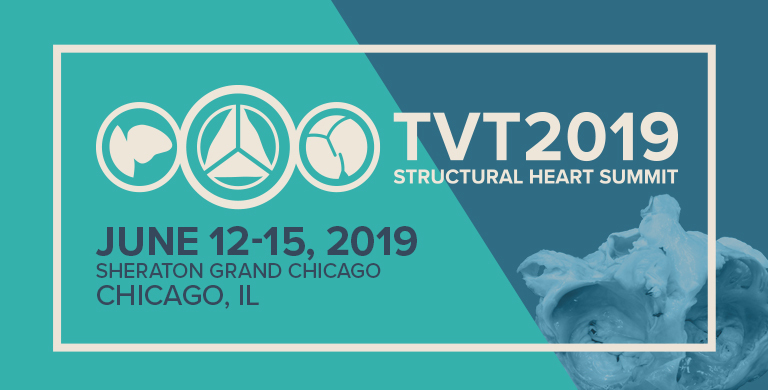 Sponsorship opportunities are available for companies to increase their visibility at TVT 2019 by sponsoring one of the many promotional opportunities available. Creating awareness about a new (or newly approved) product, promoting a satellite program, or simply reminding attendees that your company has a presence at the summit can be accomplished by sponsoring a promotional opportunity. All promotional opportunities are offered on a first-come, first-served basis. Important Note: Have your own sponsorship idea? Share with us to have first-right of refusal on the opportunity! For more information regarding promotional opportunities and pricing, please contact Fernanda Swan at 646-434-4338 or fswan@crf.org. The Interstitial Screen will be displayed full screen for four seconds when the app is started. The text will state, “The TVT Structural Heart Summit App is brought to you by” and the sponsor’s name. Attendees rely on the App to stay up to date with everything TVT Structural Heart Summit, before and after arriving on-site. It’s compatible with iPhone, iPad, and Android devices. Increase your brand awareness by sending a text push notification to all attendees through the TVT Structural Heart Summit Mobile App. This new opportunity is exclusive for the day designated and any one time of your choice! Text for the push notification is limited to 140 characters or less and includes a URL redirect. 140 characters include space. It is industry standard and best practices to have less characters (and spaces) as it allows the message to be seen across the screen. It is optimal to have your entire message shown, rather than seeing a part with ellipsis and having the user click to read the content. Show your support with a carpet floor decal placed throughout specific areas of the hotel. Areas assigned by CRF staff closer to event. Remind attendees of your company’s presence throughout the conference! Hotel key cards are the first items attendees see when they check into their hotel and are used throughout their stay at the Sheraton Grand Hotel. Be the first to welcome attendees to the meeting and encourage them to visit your demonstration table or exhibit booth. Shipment Deadline: Hotel can begin receiving shipments up to 5 days prior to the room drop date. Greet attendees to the meeting and encourage them to visit your booth with hotel room door drops. Your company’s message can be placed under the hotel room door for receipt Wednesday, Thursday, Friday, or Saturday. Remind attendees of your company’s presence every time they use the escalator! Show your support by sponsoring the official TVT Structural Heart Summit lanyard! Each attendee will receive this item during registration and will wear it throughout the duration of the event. Show your support with back cover placement of the Pavilion Guide for Interactive Training. Show your support with ad placement within the Pavilion Guide for Interactive Training. Join our email list, so you don't miss anything!